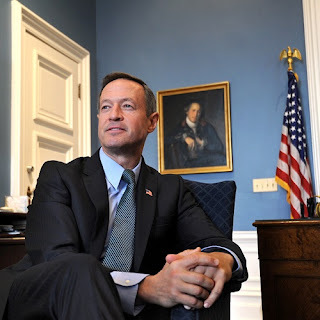 Miscellaneous Musings: Martin O'Malley: "The Opportunity of Climate Change"
Martin O'Malley: "The Opportunity of Climate Change"
Martin O'Malley may be down, but he's not out. 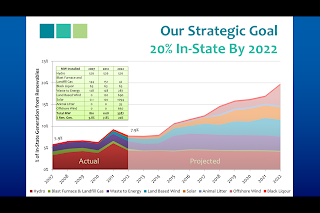 On January 9, the former governor of Maryland gave the following speech, "The Opportunity of Climate Change," at the 2017 Sustainability Symposium in Orlando, Florida, with Orlando Mayor Buddy Dyer, among others, in attendance. This speech is not only indicative of O'Malley's possible plans for the 2020 presidential election, it's evidence that he hopes to make a difference before then. While the speech got some attention, the national mainstream media likely won't mention it. I got the text of the speech, with pictures, from an e-mail to O'Malley supporters. I'm publishing the speech verbatim, along with the aforementioned pictures, to bring more attention to O'Malley and the issue he's highlighting - an issue that affects all of us. It is a great honor to be here with all of you. Thank you so very much for your kind invitation. Thank you to Mayor Dyer, and his terrific staff - outstanding leaders like Chris Castro. And, Sara Gutterman, thank you for your generous introduction, your passion, and your vision. The Irish poet, John O'Donohue, once wrote: "… the hearth, the fireplace, is the one area where nature in its elemental wildness is allowed to be present in the home,… the hearth was the place,… where the civilization, sensibility, and intuition of [a people] was handed down – never in an analytic or discursive way. It was always in the form of story. . ."
In 2011, students at the University of Maryland took first place in the Department of Energy’s National Solar Decathlon. Blending affordability, consumer appeal, and design excellence with optimal clean energy production — they built “Watershed,” a new kind of home. A home that produces and gives to the grid more renewable energy than it consumes. These young Americans imagined a new reality, and – more important – they brought it into being. The difference between a dream and a goal is a deadline. We are living in a time of profound transition. 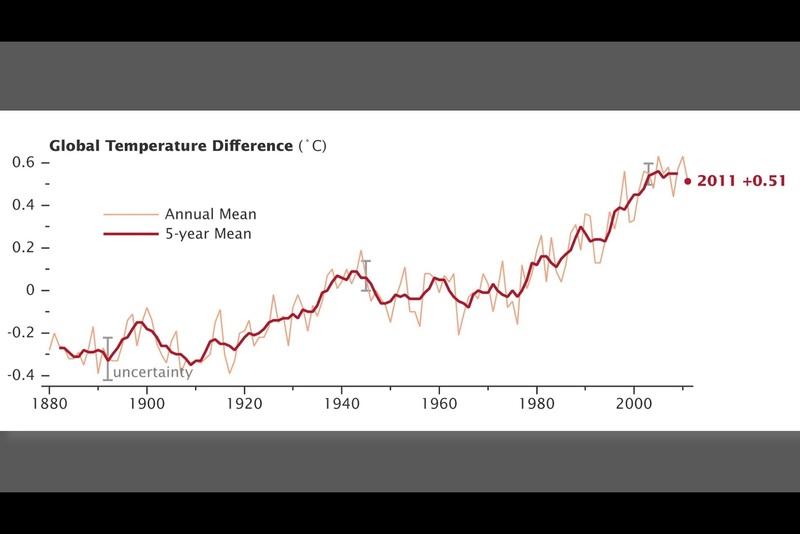 Climate change is no more an ideological issue than is gravity. Our earth is hotter, our oceans more acidic, our lands and waters buckling under centuries of stress. 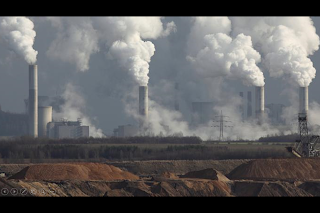 The carbon dioxide content of our atmosphere is higher now than it has been at any time in 3 million years. This is a graph moving in the wrong direction. More than 3,500 national weather records were broken for heat, rain, and snow last year. Fortunately, we are beginning to understand. This is a graph moving in the right direction. The polling question is whether you believe climate change is caused by human activity. 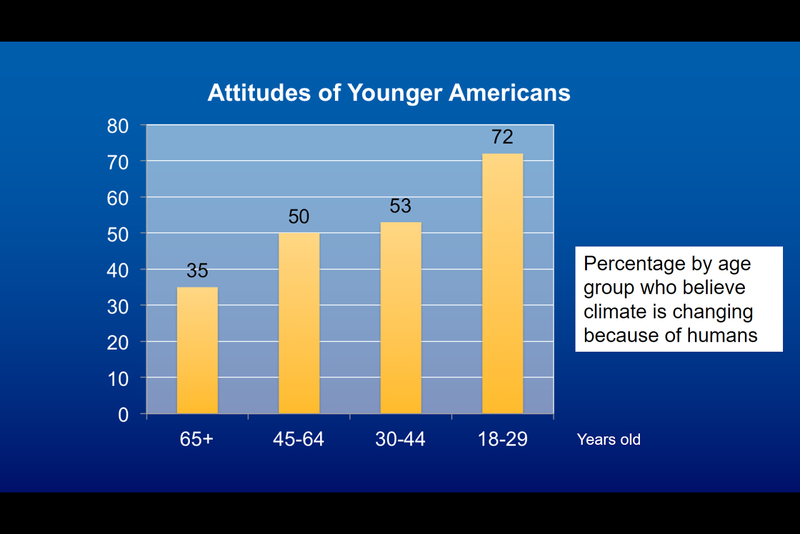 While only 35% of those over 65 believe that human activity is the cause of climate change, 72% of Americans 18 to 29 believe the science. If you want to know where a nation is headed, listen to her young people. Understanding precedes action. Climate change is the transformation that transforms everything: Our relationship to the world around us; our relationship to the other living systems of nature; the way we live and work with each other. It requires a transformation of imagination. A letting go. New solutions, new designs, new thinking. A new story for humanity. You understand better than most, the colossal nature of this challenge. The enormity of this opportunity. 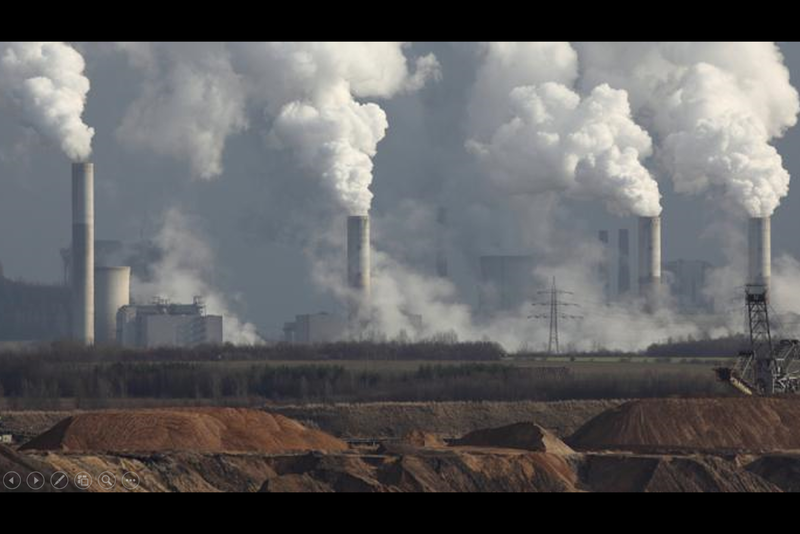 Greenhouse gas emissions must not only be slowed; they must be reversed. This requires advances in how we generate and use energy. And new imagination to redesign our built environment – our homes and buildings. 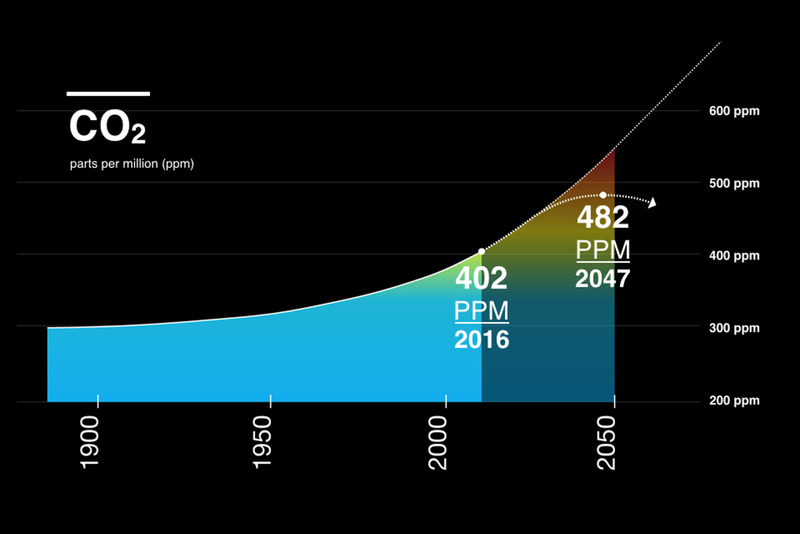 We must get to a point, quickly, where we start drawing down more carbon from the atmosphere than we are pumping into it. We are surface dwellers. This is our place. This is where we have learned to thrive. Unlike any other animal species on the planet, we have progressed – generationally – by cooperating with one another. And, by manipulating our environment: By extracting resources from the surface – the soil, the waters, and the ground. By learning to change matter to energy. The story of Genesis, itself, is a story – among other things – of the conversion of matter to energy; or was it energy to matter? 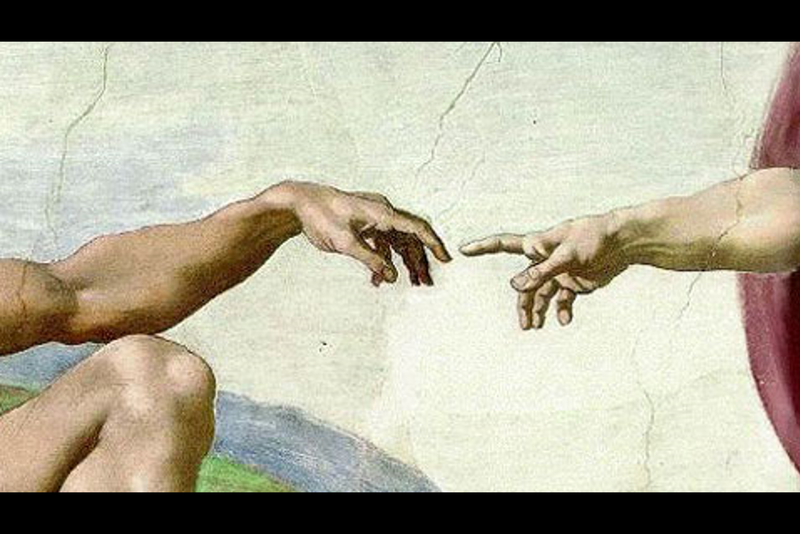 The Divine spark by which Earth achieved cognition – in humanity. Over the last millennia or so, we human beings learned to change matter to energy primarily by means of fire. The great discovery. Fire – the burning of wood in caves. Fire – the burning of wood in stoves. In more recent times, fire – the burning of fossil fuels. For heat, for electricity, for mobility. In earlier generations, we thought the land, the waters, and the atmosphere of the Earth were limitless, boundless things. 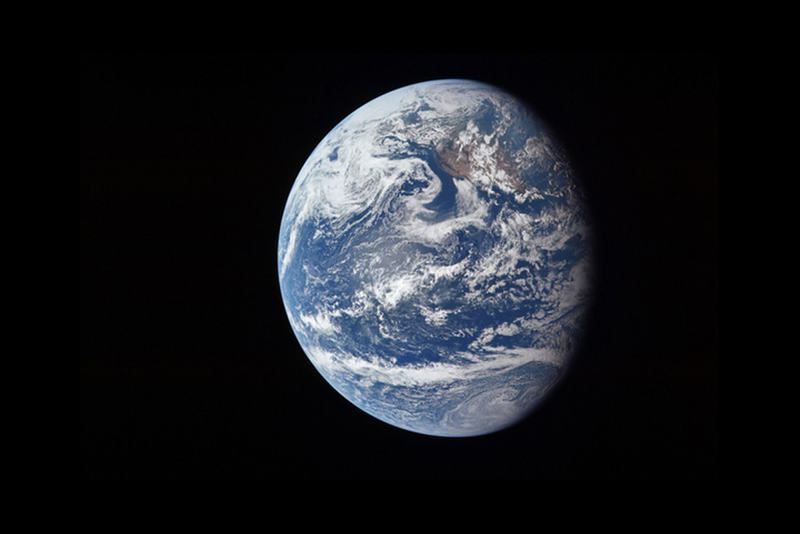 Only recently have we come to think about the finite limits of our planet. 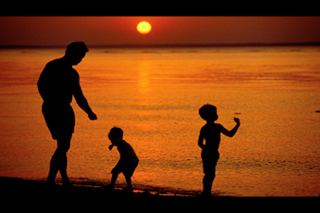 The natural capacity of Earth for meeting human needs – food, water, air, mobility, shelter. 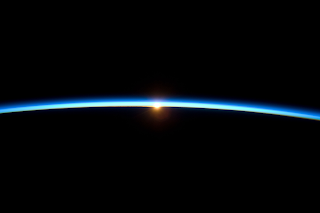 Today – from the perspective of space – we can see that the air we need is actually held within a very thin membrane around the Earth. A very thin membrane, in fact, that not only holds the oxygen we breath, but also holds the carbon and the methane pollution we emit from our burning. For most of recorded human history, our stories – of heroic people or individuals – revolved around our capacity to conquer. Our capacity to love. Our ability to overcome great suffering, sacrifice, and loss. The Earth itself was merely a backdrop. Or perhaps, a wild and sometimes sinister thing to be mastered and exploited. #1. For the first time in human history, we have seen ourselves from outer space as we truly are – a tiny blue capsule of life hurdling through a vast universe. #2. A majority of human beings now live in cities; this has never happened before. #3. 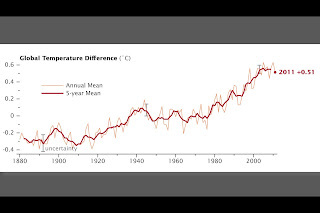 Our fires – the exponential growth of our traditional ways of converting matter to energy – have now super-heated the planet. We are now pumping so much carbon and methane into the atmosphere that we are melting the ice caps. And we are threatening the very ability of the Earth to support human life. These are the threads of a new story. Not a story of scarcity and planetary disaster. Not a story of ruinous growth and consumption run-amok. But rather, a story of greater health and well-being, greater security, greater opportunity. 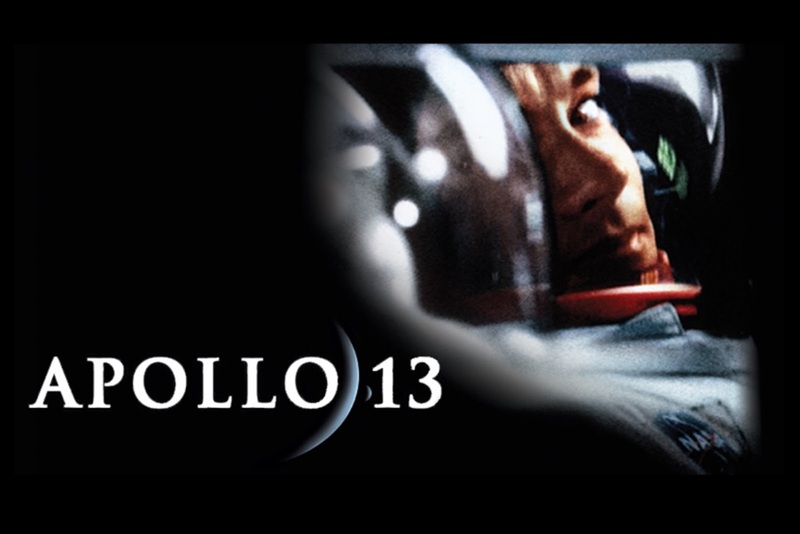 Remember the story of Apollo 13. 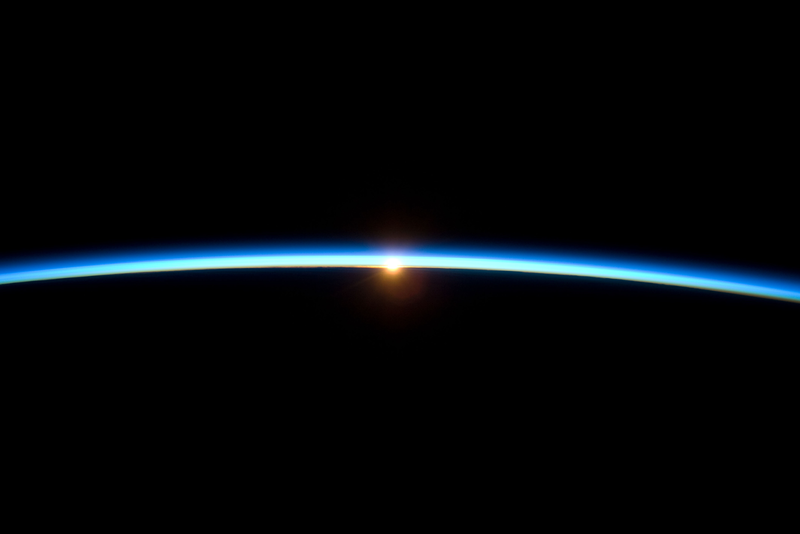 Another tiny capsule of life hurdling through space. In this case, the lives within the capsule were three American astronauts. A near catastrophic malfunction cripples the capsule was crippled between the Moon and the Earth. Unable to maintain a proper balance of oxygen inside the ship, levels of carbon dioxide climb to life-threatening levels. The astronauts are literally poisoning the atmosphere of their command module with every breath. The young engineers and scientists and mathematicians on the ground at mission control have to figure it out. They must find a way to drawdown the CO2 levels. They create a duplicate pile of the very few materials – tools, containers, duct tape – available to the astronauts in the capsule. Their leader at Mission Control, Gene Kranz, keeps urging the imagination and smarts of his young American team of engineers forward. When the NASA director muttered that this could be the worst disaster NASA's ever experienced. Kranz replied: "With all due respect, sir, I believe this is gonna be our finest hour." Many of you have seen the movie – "work the problem, people." And they do. They fashion a way to scrub the carbon dioxide from the air of the capsule. They save the lives that only they had the power to save. And so too, must we. "Any appeal that begins from a standpoint of despair is doomed to fail..." Our story must be a story of greater health and well-being. Greater security and balance. Life – lived more abundantly. We have become good – haven’t we – at imagining the end of the world, but not so good, yet, at imagining a new beginning. 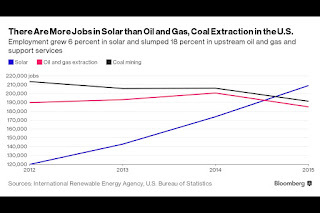 Consider these facts: There are – today – twice as many people employed in wind and solar jobs in the U.S. than there are in coal mining. 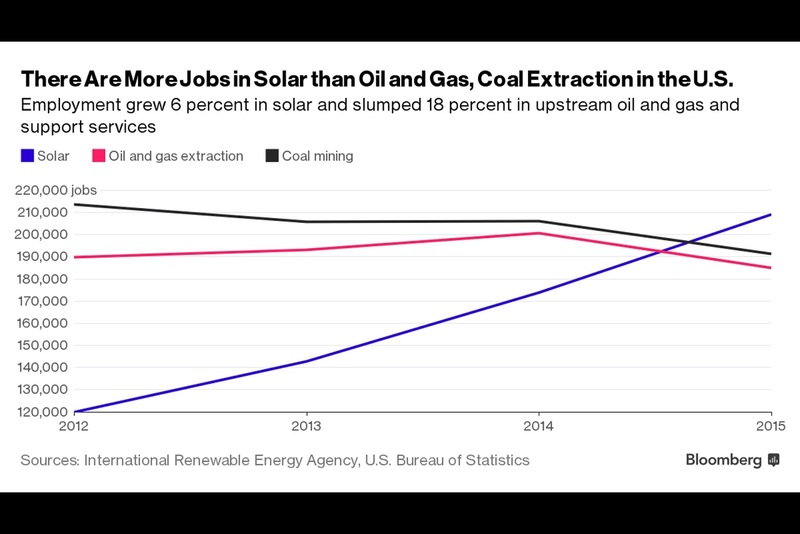 In fact, solar alone now employs more people than are employed in oil and gas extraction. More people than are employed in coal mining. And while job creation in those industries has been slumping, solar jobs continue to grow. The cost of rooftop solar has fallen 64% in eight years. The price of land-based wind has fallen 50% in just the last four years. According to the Bureau of Labor Statistics – average wage for a wind technician is $24 an hour; solar $20 an hour; coal $22 – with more and more coal jobs falling every year to automation. 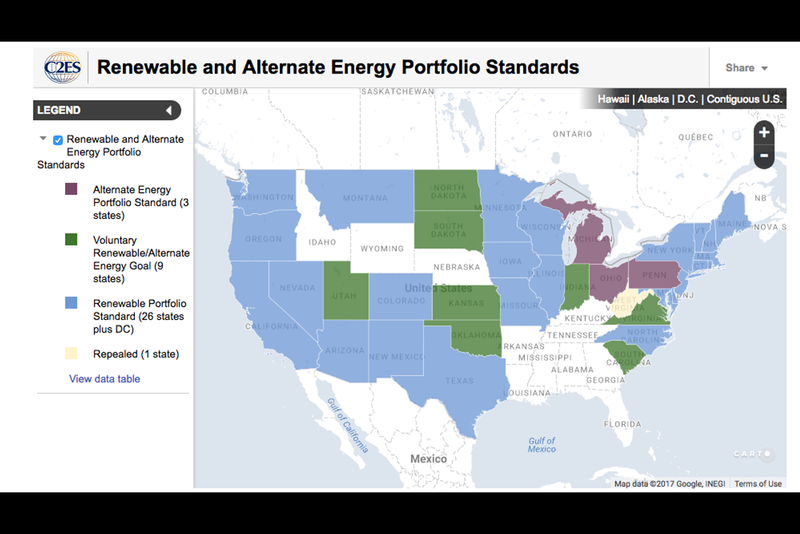 The U.S. Advanced Energy market is now valued at $200 billion. 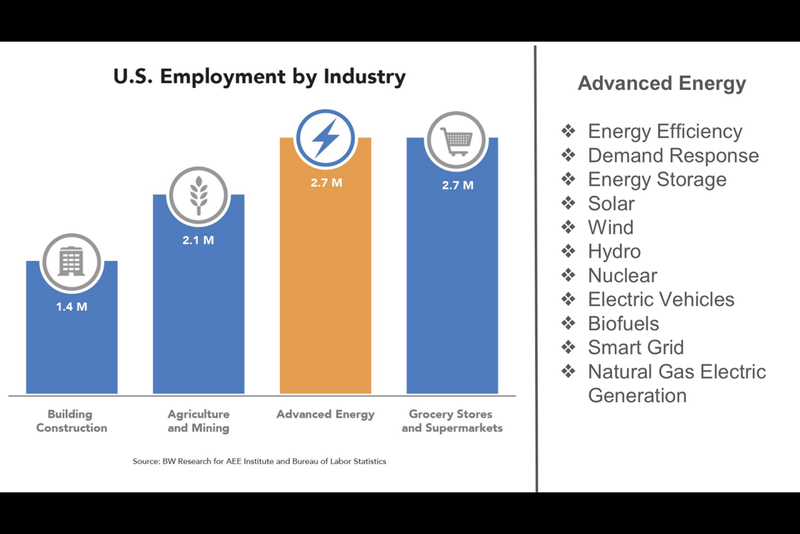 There are currently 2.7 million advanced energy jobs in the United States. And many of those are hands-on, blue collar jobs. Employing more people than all of those employed in agriculture and mining combined. The growth of green construction jobs has quadrupled over the last ten years. There are a lot more jobs to be created in addressing climate change than in ignoring or denying it. And there is one yearning the world over – the yearning for a decent job. The White House can be a powerful tool for human progress. But it is not the only tool. In fact, history teaches us that democratic republics often make the greatest progress only after they have self-corrected – from electing a tool. All progress is born of adversity. Just a few days ago, The New York Times ran this story on January 2, 2017 by Justin Gillis. "With Donald J. Trump about to take control of the White House, it would seem a dark time for the renewable energy industry. 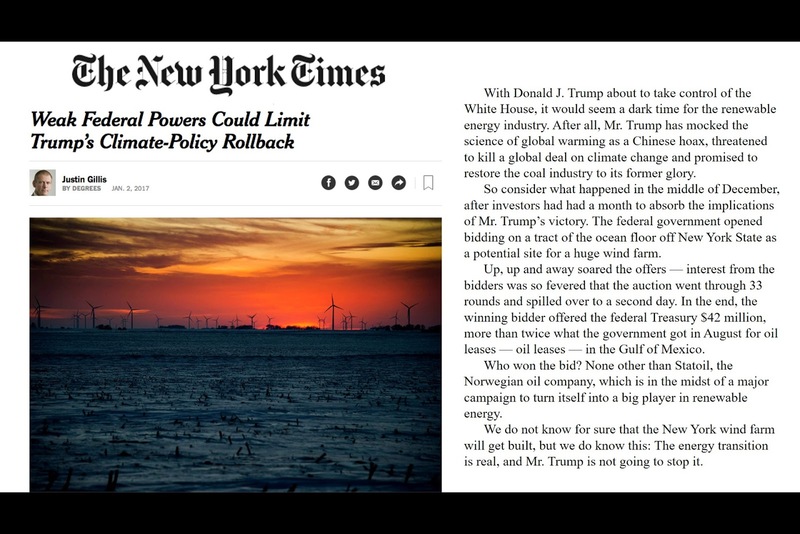 After all, Mr. Trump has mocked the science of global warming as a Chinese hoax, threatened to kill a global deal on climate change and promised to restore the coal industry to its former glory. So consider what happened in the middle of December, after investors had had a month to absorb the implications of Mr. Trump’s victory. The federal government opened bidding on a tract of the ocean floor off New York State as a potential site for a huge wind farm. Up, up and away soared the offers — interest from the bidders was so fevered that the auction went through 33 rounds and spilled over to a second day. In the end, the winning bidder offered the federal Treasury $42 million, more than twice what the government got in August for oil leases — all oil leases — in the Gulf of Mexico. Who won the bid? None other than Statoil, the Norwegian oil company, which is in the midst of a major campaign to turn itself into a big player in renewable energy." 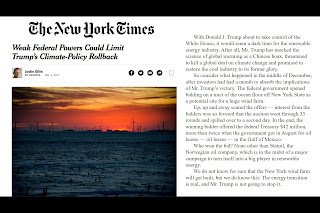 "We do not know for sure that the New York wind farm will get built, but we do know this: The energy transition is real, and Mr. Trump is not going to stop it. On a global scale, more than half the investment in new electricity generation is going into renewable energy." That is more than $300 billion a year, a sign of how powerful the momentum has become. 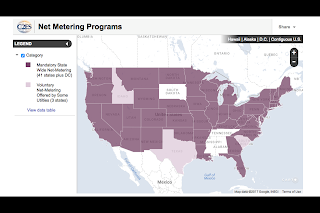 Wind power is booming in the United States, with the industry adding manufacturing jobs in the reddest states. When Mr. Trump’s appointees examine the facts, they will learn that wind-farm technician is projected to be the fastest-growing occupation in America over the next decade. If Mr. Trump pushes for an early end to the subsidies, he will find that renewable energy has friends in the Republican Party. Topping that list is Charles E. Grassley, the senior senator from Iowa. 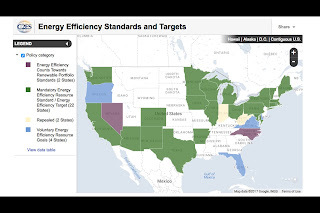 That state — all-important in presidential politics, let us remember — will soon be getting 40 percent of its electricity from wind power." Having spent a lot of time in Iowa lately, I can tell you that's true: Iowans are very proud of their new wind industry. They should be. It employs upwards of 5,000 people. Let's talk about these United States for a second. 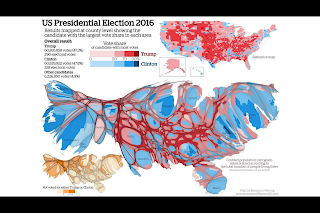 To look at a geographic map of the counties and states of the United States, you would think the continent is awash in an electoral sea of climate-denying red. When the map is adjusted in this cartogram to reflect where the population of the United States resides, you see how and where Mr. Trump lost the popular vote – it was in all of these metropolitan bubbles of blue with the deep red spaces in between. Deep red spaces where so many of our neighbors feel they are slipping through the cracks. Urbanization and the drive for a more sustainable future have been joined in one urgent movement of human development. This is true the world over. As the prophet says: "whatever is the more true comes out into the open, and whatever is better is ultimately realized." True story. 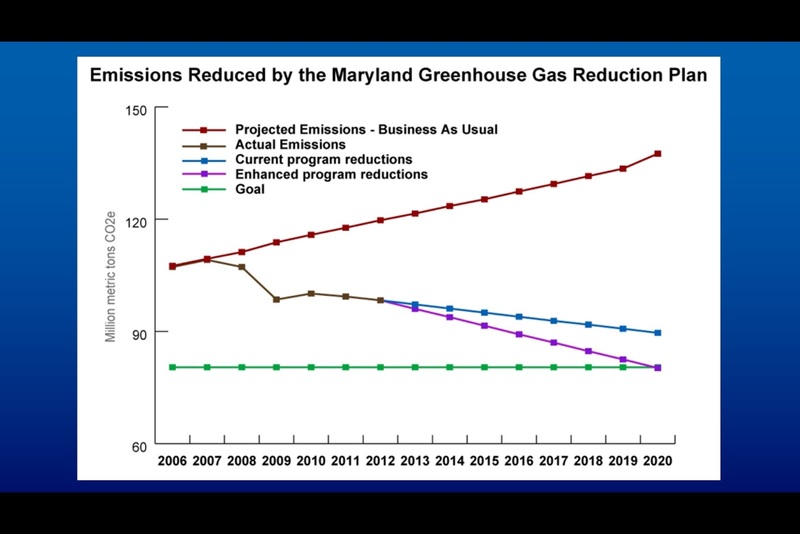 When I was elected Governor of Maryland, our State had no sustainable energy policy. In fact, we had no energy policy whatsoever. In an ill-advised utility hustle, our State had just moved from a regulated to a deregulated framework. Residential customers in the Baltimore area got whacked in that deal with a 70% rate increase. Against this backdrop, I was elected. And we began to put together the consensus, the policies, and the actions necessary to address climate change. 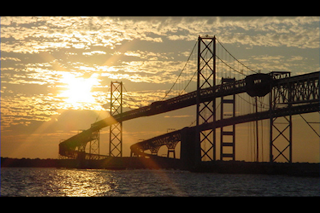 With our miles of coastline and natural subsidence, Maryland is one of the most vulnerable states in the nation to the impacts of climate change. Sea levels along our 3,200 miles of coastlines are rising three to four times faster than the global average. 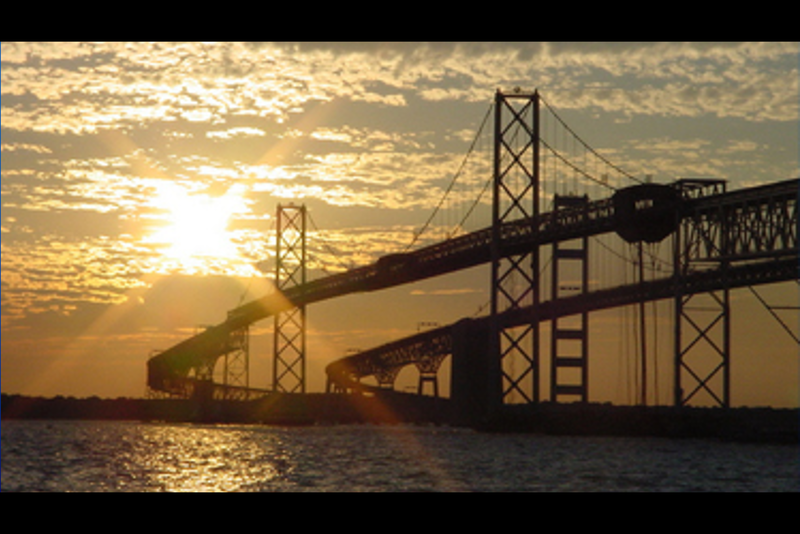 [iv] Thirteen islands in the Chesapeake have now been swallowed up entirely. [v] As Governor, we took action to make a new policy. 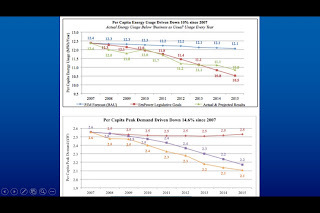 We decoupled the misaligned profit relationship between utility revenues and electricity consumption. 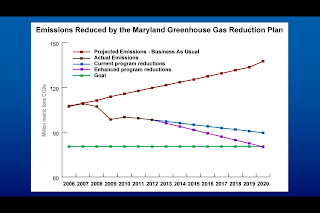 We passed Climate Change legislation – setting goals, deadlines, action plans – for achieving a 25% greenhouse gas reduction by 2025. We took our renewable portfolio from a voluntary 7%, to a mandatory 20% by 2022. 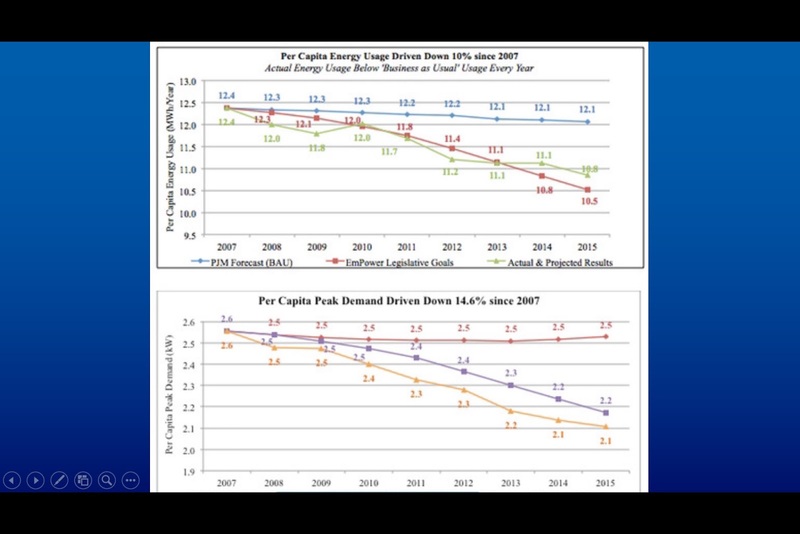 We passed net-metering and put incentives in place to reduce energy consumption by 15% by 2015. None of this was easy. All of it required persistence, persuasion, consensus, understanding, and work. I was re-elected in 2010 with twice the margin of 2006, and part of the reason was this: These actions – this new story of greater health, greater well-being, greater security, and greater job creation – cost only pennies to ratepayers to implement. Pennies that were often off-set by demand reduction efforts. The practical, political point is this: With the exception of the deconfliction and lease work for off-shore wind, all of these actions in our State were accomplished without any help, from anyone, in the Executive Branch of our Federal Government, or even our Congressional delegation. And the State of Maryland was not alone in her leadership. 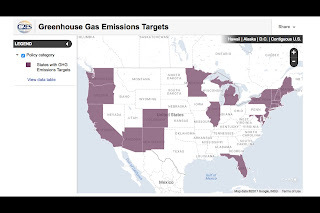 Today, 23 states have now adopted decoupling policies. 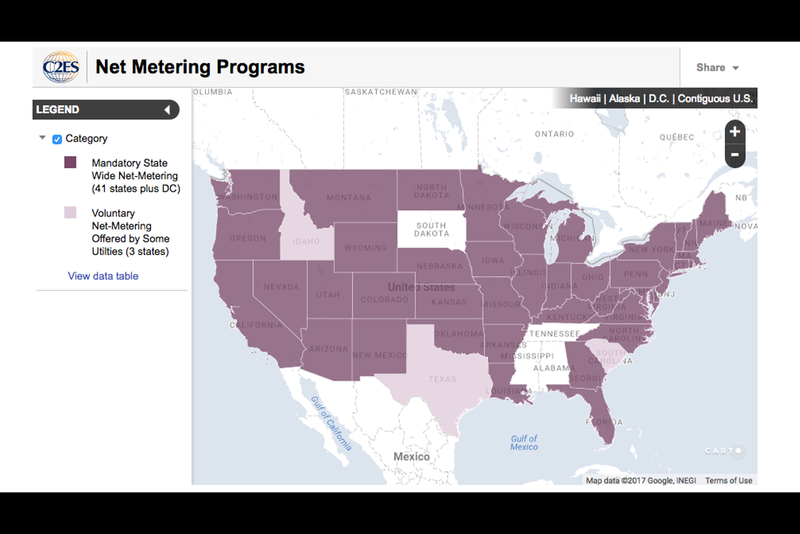 Today, 41 states have now adopted net-metering. 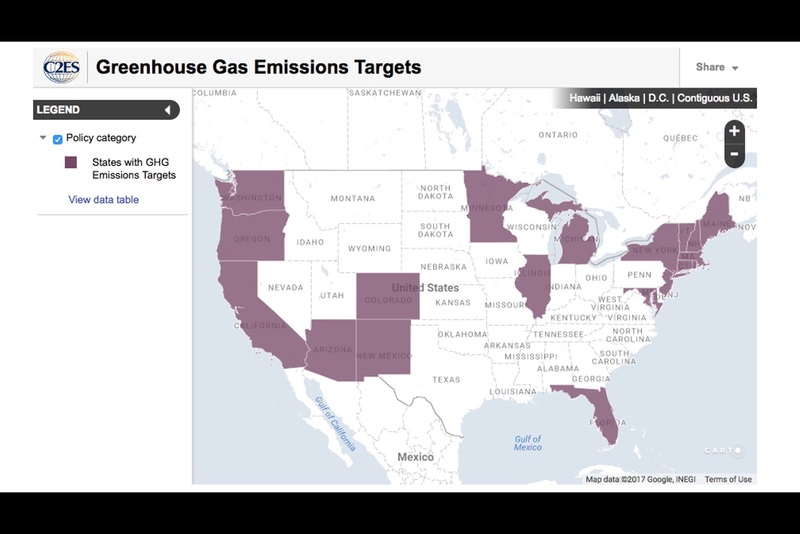 Nineteen states now have greenhouse gas reduction targets. 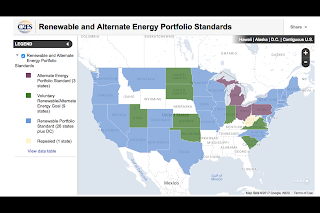 Twenty-six states now have mandatory renewable energy portfolio standards. Twenty-two states have now adopted Energy Efficiency Standards and Targets. 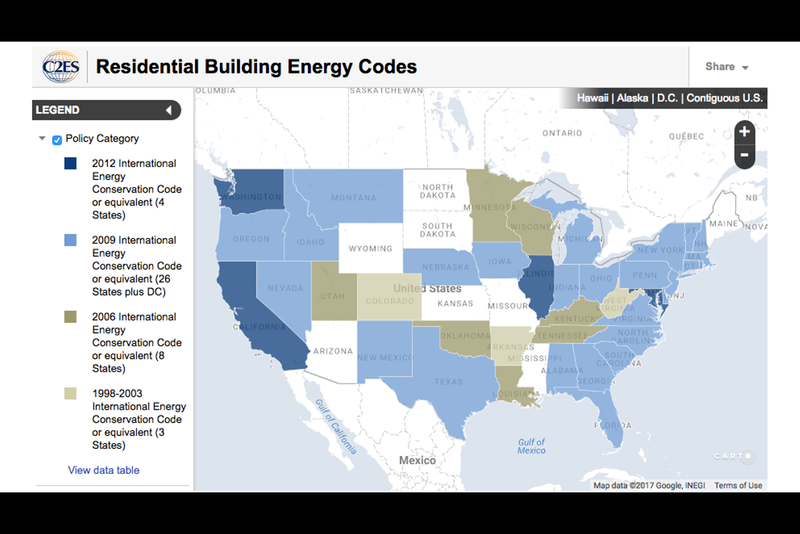 Twenty-six states have now adopted Residential Building Energy Codes, and four have recently adopted higher standards. So let me state it plainly. This is not a matter of hoping or wishing. We need to act! If Federal efforts are sidelined for the next four years, then States like California, Maryland, and others must lead! Just like they have led for these last eight years! This election means the loss – for a time – of American political leadership; but it does not mean the loss of leadership by Americans! And this is why your work is so very important. Remember. The Executive Branch and Congress had nothing to do with the green building revolution in the past; nothing has changed except their level of ignorance. 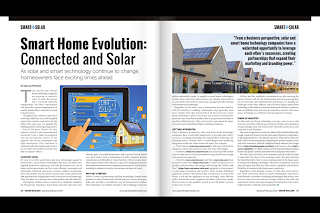 You are transforming homes into technologies in which people dwell. And where it's heading is something quite phenomenal. 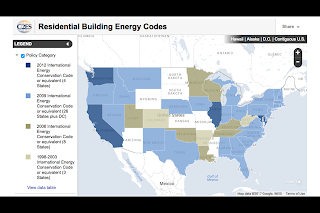 Throughout the United States of America, our buildings account for 39% of our carbon emissions. 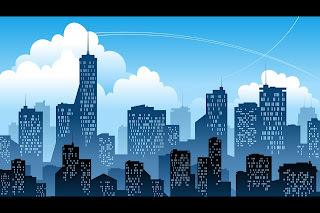 The vast majority of our buildings are clustered in our cities and metropolitan areas. Those places where Mayors, regardless of Party, are pushing the envelope of the possible. Living buildings, micro-apartments, urban farming, building retrofitting. It's all happening alongside effective mayoral leadership. It is not enough that we cap new carbon emissions; we must drawdown the poison that is already there. To do that, we must re-imagine and redesign our way of living. That is the life-giving work you and your colleagues are doing every day. 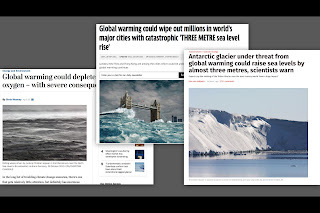 Unless we act, unless we create a better story, unless we build – metaphorically and literally – a better, smarter home out of the surface of our planet, science is going to catastrophize the future. And with some reason – the data support it! 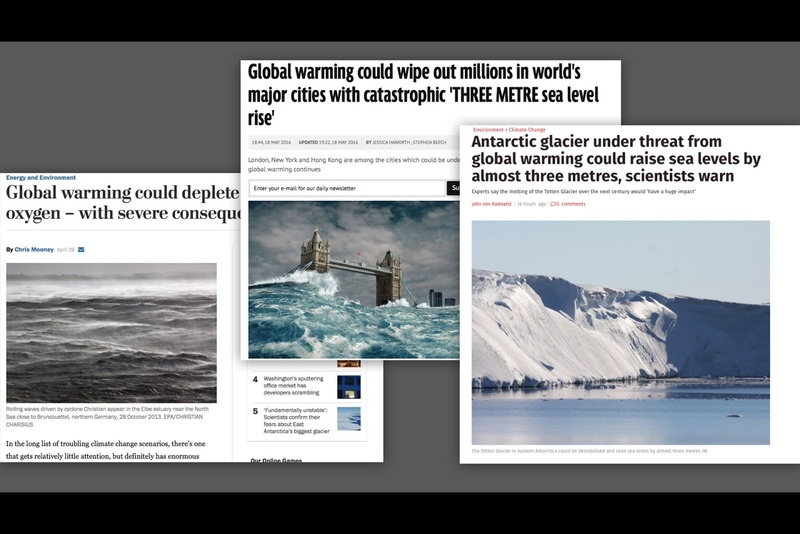 The problem is this: catastrophizing the future – drawing straight-line projections to hell – makes deniers look optimistic and turns science into the problem. But you, here, understand an important truth – as our problems are man-and-woman-made, so too, are their solutions. "We need to work the problem people." 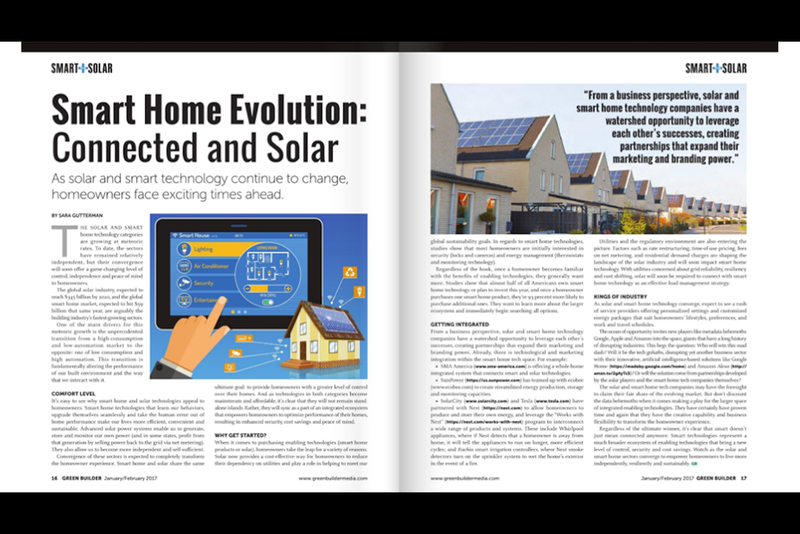 Recently, Green Builder Media and Shelter Dynamics built the Arc House. A home that brings together science and economy. 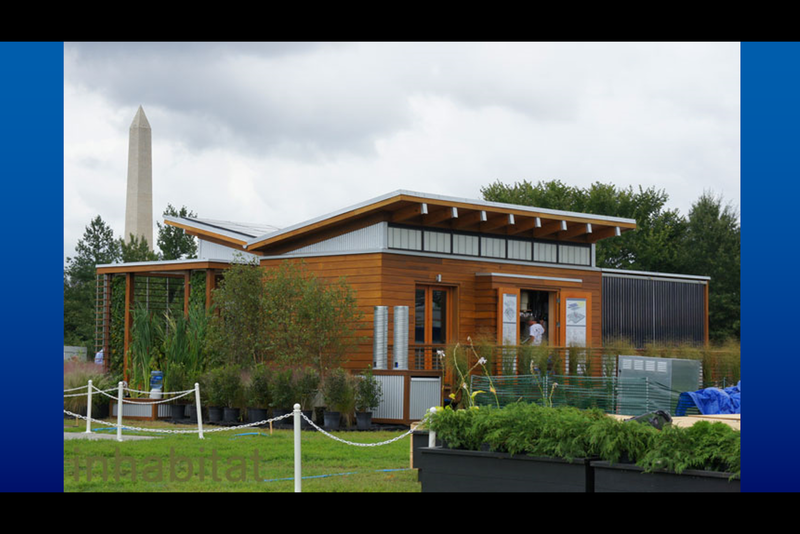 A home that is smart, self-sufficient, and compact. A new kind of home. A home that produces and gives to the grid more renewable energy than it consumes. Yours, then, is the new story. The story of greater health, greater well-being, and greater prosperity. It is emerging from the dead wood of "growth for the sake of growth," but it will not happen by itself. 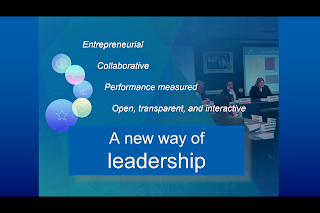 We need leaders. We need artists. We need you. We need you to write it, to design it, and to build it. The story of justice, balance, and regeneration, emerging green – for the sake of our children and grandchildren – from the ashes of extraction and depletion. A true story, worthy of the love, and hearth, of a great people. 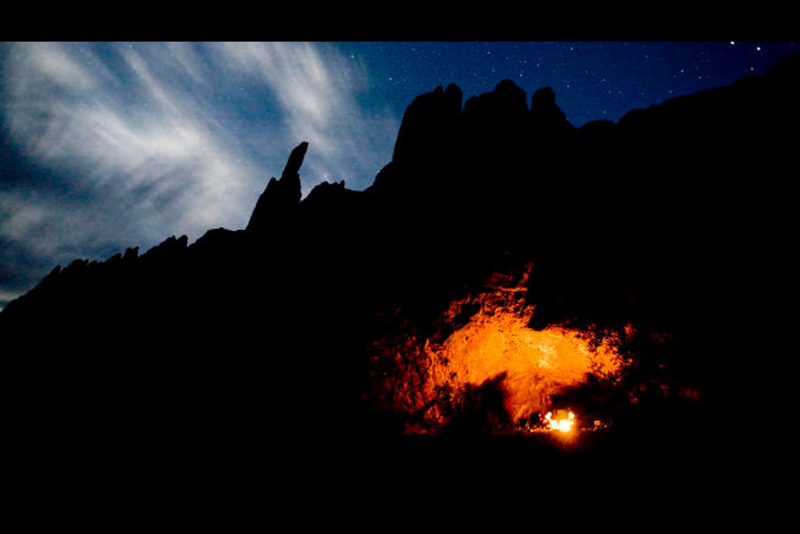 Fire, imagination, the power of story, the importance of place. We human beings are problem-solving animals. There would be no freedom of the Exodus story without the Pharaoh's slavery. No American Revolution without British oppression. No penicillin without disease. We are Americans, we make our own destiny. Never doubt it. For as a great man once said, "the day will come when after harnessing the ether, the winds, the tides, and gravity, we shall harness for God the energies of love. And on that day, for the second time in history, human beings will have discovered fire." - Teilhard de Chardin, again. You know what this sort of thinking used to be called? Presidential leadership. We need this guy to run for President in 2020!